An Untouched Niche for a Promotional Frisbee Gift: Event Management? We don’t need to really sell the benefit of investing in a promotional frisbee gift idea for your clients, customers, or colleagues. The question is this: in what situation? What industries? Think about that for a moment: we don’t really see that there would be a need for a CEO to offer up frisbees as branded gifts when the company’s a power plant, or even an insurance company — although creativity’s a great way to boost employee morale! So if it works, do it. The whole point behind event management is to get clients and guests pretty jazzed about the fun event going on — maybe it’s a golf outing, or a summer wedding on a beach, perhaps a volleyball tournament? You’re seeing the picture. Part of event management involves real promotion, real swag. When you give that stuff out, it’s practically purposed and timeless marketing with a bit of pizzazz to go along with it. Your brand is remembered even more than when they go through the memorable event. And that’s saying something. One thing to keep in mind: the weather. It rings a bell with your clients, colleagues and guests in a big way for obvious reasons. People tie in the idea of a promotional frisbee gift as something to enjoy in the summer or Spring, and if your event just happens to be at a beach or park, well — that’s a double whammy for you! You’ve scored a big one for Team Frisbee. That’s Just the Start of It — Who Knew? 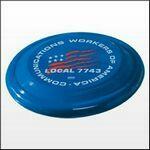 Who knew there were that many possibilities to doing a bulk order for some branded frisbees to pass out as gifts? The idea’s interesting, that’s for sure — and you might be in a market to offer that kind of gift. Check us out at BRAVA Marketing to learn more. Contact us right away. You can even browse all the different selections we have right here. Just don’t forget the Coppertone.